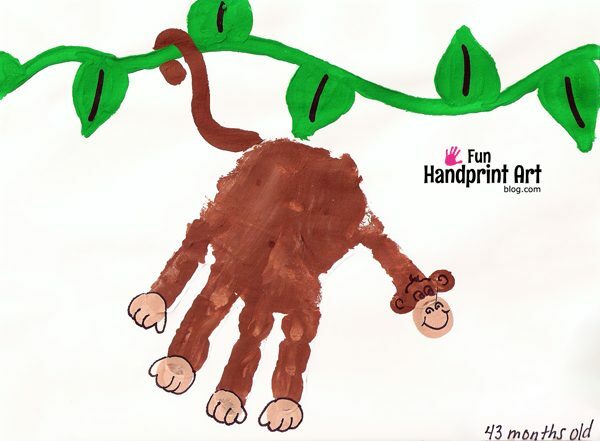 Last month, we made a Handprint Monkey swinging on a vine. It is pretty easy to make! Start by making a brown handprint or whatever color you wish. Make a tan thumbprint at the tip of the thumb. This is where you will eventually draw in the nose and mouth. 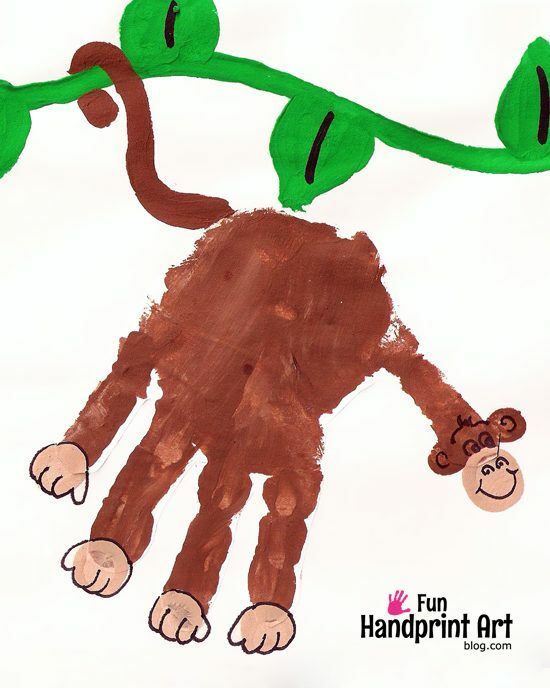 Make the monkey feet/hands by making a fingerprint at the tip of each finger. 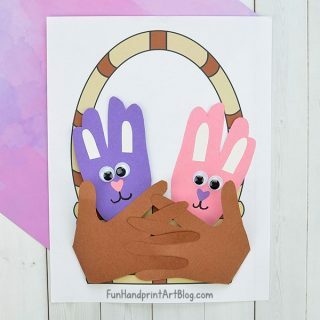 Make the ears by pressing a pinkie fingerprint on each side of the thumb just above where you made the tan thumbprint. Add any other decorations or leave it as is. We made a vine for the monkey to swing from! After it finishes drying, add in facial features and any other details. Check out the Footprint Monkey we also made. Super cute! I haven&#39;t seen this before. What a cute idea! My sons would LOVE to do this! Even my littlest guy would love doing this one. Thanks for the great idea! I’m happily following your blog, and would love it if you stopped by mine to say hi! How fun! I will have to make this with my son, he loves monkeys! I love this one! Perfect for my little monkeys! This is so clever and cute! I&#39;m here from Nurture Store. thanks for sharing both your ideas at my art party. Lovely ideas!…you obviously have an amazing imagination! Great idea for counting by fives!!!! 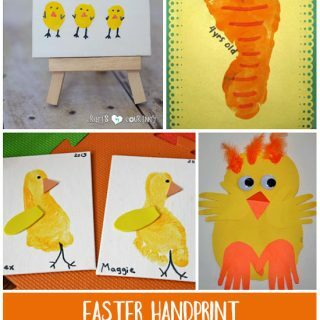 What do you use for the paint on the handprints?